​​Willson Contreras is straight gangsta, baseball style. 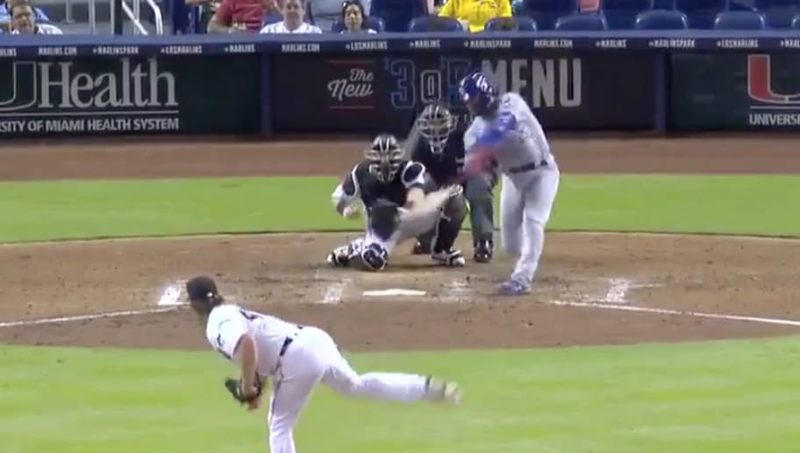 The ​Cubs catcher was drilled with a pitch in his previous at-bat in Miami, and proceeded to make due in his next AB, bombing this home run to dead-center against the Marlins to extend the Chicago lead. Contreras gets the last laugh. That's Contreras' fourth home run of the season. Not only does Willson take his time rounding the bases, but he also pauses just before home plate to vent his frustration while looking at no one in particular, not even the Marlins dugout. You know it's bad when an angry batter doesn't even acknowledge you. Sheesh.